Cosmetic Dermatology Monroe: Welcome to Advanced Dermatology Care! 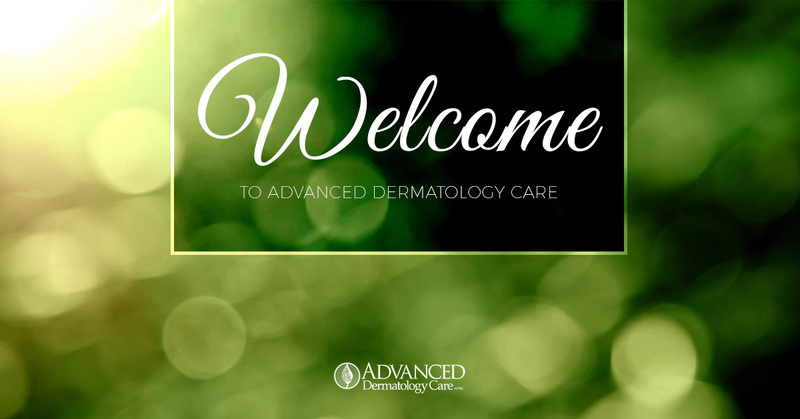 Welcome to Advanced Dermatology Care! Advanced Dermatology Care is home to Monroe’s largest and finest offering of both medical and cosmetic dermatology services. Owned and operated by Monroe native Dr. Loretta Gremillion, Advanced Dermatology Care was founded and is run on a foundation of solid education, science, care, and compassion. Dr. Gremillion holds numerous degrees, including an undergraduate degree in pharmacy from the University of Louisiana at Monroe. She attended medical school at Louisiana State University Health Sciences Center in New Orleans. There, she was trained in both medical and cosmetic dermatology — both of which she offers at Advanced Dermatology Care. Additionally, Dr. Gremillion was trained at and executed a research fellowship at Wayne State University in Detroit. Each milestone on Dr. Gremillion’s path towards launching Advanced Dermatology Care well prepared her for the unique and client-focused dermatology services she now offers. Curious about what medical and cosmetic dermatology services Dr. Gremillion offers? Keep reading to learn more. Dr. Gremillion has attended numerous courses on a diverse offering of cosmetic dermatology services, including botox, Kybella, and Sculptra, as well as fillers such as Juvederm, Voluma, and Volbella, making Advanced Dermatology Care the natural choice for those in the Monroe area looking to add volume to and remove years from their face, neck, and other areas. Sculptra, one of Advanced Dermatology Care’s most sought after services, is type of facial injectable that supplants lost collagen. Lasting more than two years, Sculptra stimulates natural collagen growth, departing from traditional dermal fillers that only treat lines, folds, and wrinkles. Beyond wrinkle reduction, Sculptra works deep within the skin to replace lost collagen, adding a firm foundation for a full-featured face and supple skin. Microlaser peels are one of the most popular cosmetic dermatology services offered by Dr. Gremillion. More specifically, Sciton MicroLaser Peel offers patients next-level skin treatment services. This revolutionary skin treatment utilizes superficial exfoliation resurfacing to bring about smoother skin by reducing wrinkles, lines, and folds. Moreover, it removes damaged skin and adds vitality to the affected area(s). Departing from the ways in which Sciton’s MicroLaser positively impacts treated skin, ProFractional Resurfacing is a laser microbeam that pinpoints thousands of minuscule areas of your skin, ensuring that each area touched receives the same level of quality laser/light treatment. Sciton ProFractional is an excellent choice for those wishing to treat problemed wrinkles and fine lines, sun spots, freckles, aging and sun-damaged skin, acne scars, and post-trauma scars. Many of us have areas of our bodies that we feel could do with less hair. Advanced Dermatology Care understands this, and offers the latest in body hair removal cosmetic dermatology. Dr. Gremillion proudly offers LightSheer DUET laser hair removal services, the “gold standard” in laser hair removal. Safe and effective, LightSheer DUET utilizes a smaller-than-average handpiece that affords recipients of the treatment continuous cooling to ensure a safe and comfortable procedure. With multiple settings, the LightSheer DUET is well-equipped to treat multiple skin types, offering a wider range of services to numerous patients. Body contouring (or, fat reduction treatment as it’s sometimes known) is a cosmetic dermatology service that involves the targeting of fat cells to destroy them and, ultimately, flush them from your body via natural processes. Advanced Dermatology care is proud to offer body contouring through Ultrashape, the finest fat reduction treatment available. Through rapidly changing pressure waves, fat cells are ruptured, releasing triglycerides that then exit the body. While some fat reduction treatments rely on freezing and heat to destroy fat cells, Ultrashape’s revolutionary design is executed through pressure waves, leaving behind a smoother, flatter surface. In just three treatments over two weeks, Ultrashape is sure to leave you with firmer skin than ever before. Advanced Dermatology Care is proud to offer wrinkle and scar treatment services through Sublative/Sublime treatment. Through fractionated bi-polar waves, wrinkles, discoloration, and acne are treated. These treatments are neither laser- nor light-based, resulting in a skin treatment that is safe for numerous skin types. Advanced Dermatology Care is delighted to offer numerous other medical and cosmetic dermatology services, all of which are regularly available at our office. Specifically, our medical services are designed to treat patients with more serious skin conditions, such as moles, acne, warts, rosacea, psoriasis, hand eczema, and eczema. Many of these skin conditions — while serious — are easily treatable with the array of cosmetic and medical dermatology services offered her at Advanced Dermatology Care. If you have any questions, comments, or concerns about any of the cosmetic or medical services we’ve discussed today, please don’t hesitate to reach out to us to learn more.